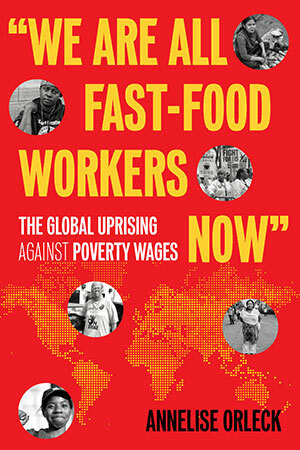 Beacon Press: "We Are All Fast-Food Workers Now"
The story of low-wage workers rising up around the world to demand respect and a living wage. Tracing a new labor movement sparked and sustained by low-wage workers from across the globe, “We Are All Fast-Food Workers Now” is an urgent, illuminating look at globalization as seen through the eyes of workers-activists: small farmers, fast-food servers, retail workers, hotel housekeepers, home-healthcare aides, airport workers, and adjunct professors who are fighting for respect, safety, and a living wage. With original photographs by Liz Cooke and drawing on interviews with activists in many US cities and countries around the world, including Bangladesh, Cambodia, Mexico, South Africa, and the Philippines, it features stories of resistance and rebellion, as well as reflections on hope and change as it rises from the bottom up.